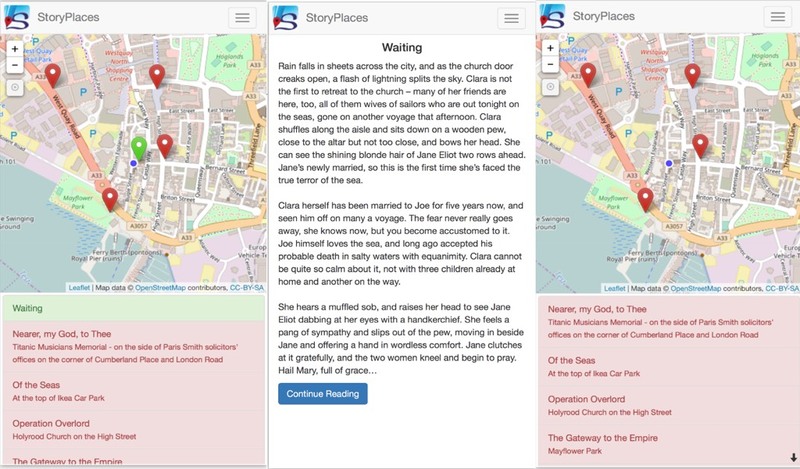 StoryPlaces is a series of projects run by the University of Southampton to explore the poetics of locative literature and create free tools and guidance so that everyone can get involved in creating amazing locative experiences. 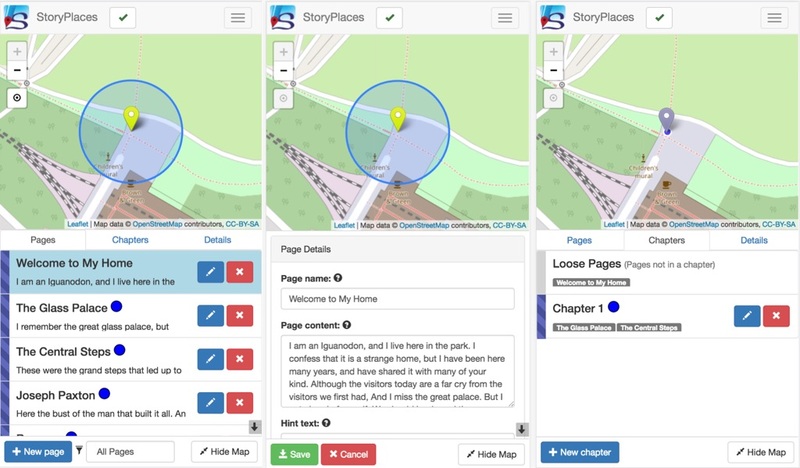 Here you can find out more about the StoryPlaces projects, read our online stories, and access our reading and authoring tools. Find out about the original StoryPlaces project and meet the team. Try our online story reader, it runs in your browser, is free, and has access to all our published stories. Try our online authoring tool. Anyone with a Google account can create a story. Contact us if you'd like to make it public. 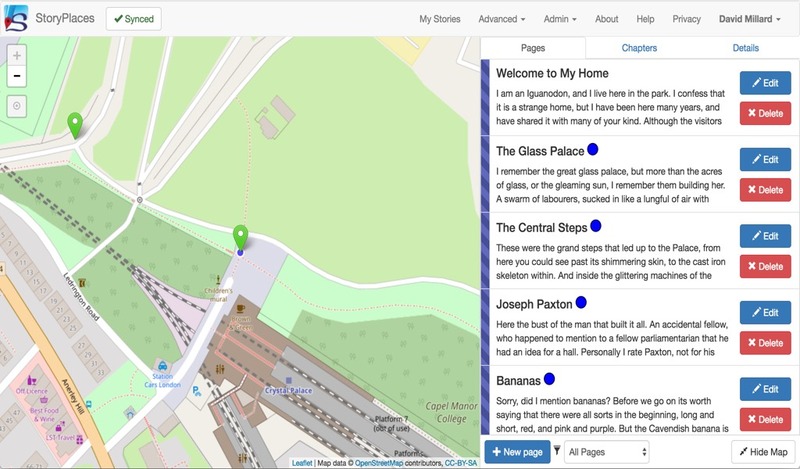 The StoryPlaces software is all open source, find out more about the architecture and JSON data format. StoryPlaces has been published in international research conferences and workshops, find our publications here. Find out more about the concise toolkit we have created with guidance for locative authors. The very first StoryPlaces deployment. We worked with local creative writing students and a local author to explore the goals of locative authors, and published six stories set around the Old Town area of the city. In our second deployment we worked with local authors and the Bournemouth Natural Science Society, and published six stories inspired by the BNSS collections, and set around the sea front and winter gardens. 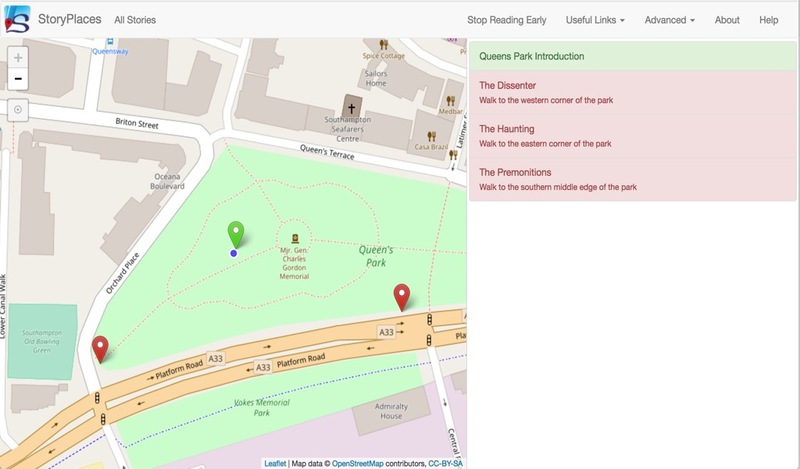 In our third deployment we worked with local authors to explore the effectiveness of locative authoring tools and our author's toolkit, and published six stories set in Crystal Palace Park in London. As part of the original StoryPlaces project we created our own locative story based on the Scottish Island of Tiree, with the goal of exploring the interactive possibilities of the StoryPlaces narrative engine. The department of Creative Technology at Bournemouth University is actively exploring the technology behind interactive media and games, experimenting with how locative narrative changes how we tell stories. Interested in creating a locative story?